There’s a longstanding – if old fashioned – boozy tradition in Portugal many fathers still practice if they have a baby boy. The old man will find a barrel, fill it to the brim with Port then hold onto until their kid comes of age. At that point, the barrel is his. Half a world away in Adelaide, Gareth Lott wanted to do the same thing for his two sons, but he couldn't easily find the kind of barrel he wanted to load with Australian fortified. “I found these 20 litre barrels were available, but I wanted to look around to find something a bit different,” Gareth says. Eager to find a barrel with a story, he headed into a few local distilleries and breweries to see if they had anything they'd be willing to part with. Everywhere he went the answer was the same: we can’t help you out but if you end up buying any bourbon barrels, let us know, we wouldn’t mind some either. 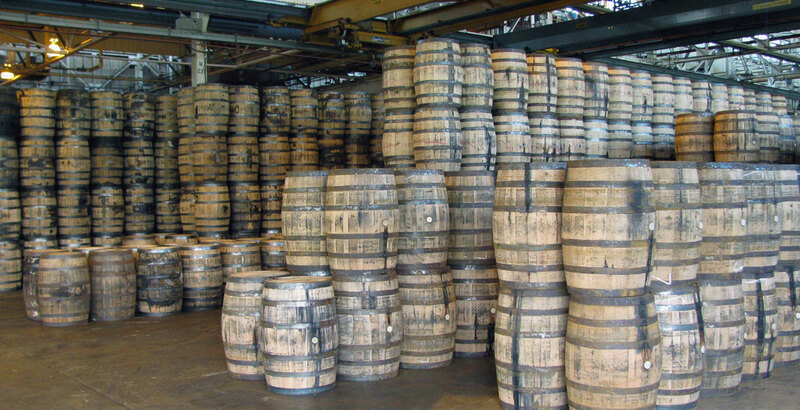 By law, barrels can only be used once when making bourbon and, as a result, there’s a constant supply of American oak being bought and sold. Though many make their way to Scotland for whisky production, other distillers and small breweries are often keen to get their hands on them too. Realising how much local demand there was for international barrels – particularly those previously filled with bourbon – Gareth booked a ticket to America, headed to Kentucky and decided to buy some. That was at the start of 2015 and from that first shipment Round Oak Barrels was born. 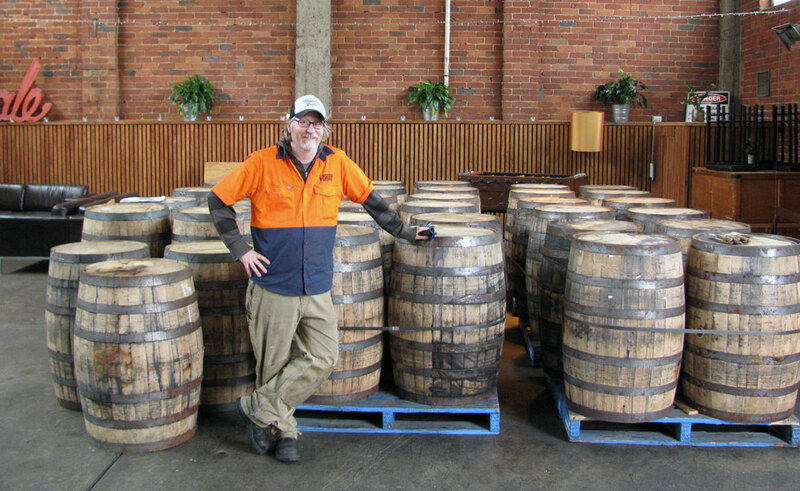 Gareth initially assumed most of his business would be for people who like him – keen to get their hands on a small barrel for their poolroom. Today, however, practically all of his customers are either small breweries, homebrew clubs or distilleries. Gareth Lott enjoying one of his barrels and the Mountain Goat team taking a fresh delivery. Gareth worked in the entertainment industry before becoming a barrel dealer and his background in event management and running major concerts meant he embraced the logistical side of his new career. As a result, shipping barrels from America, Spain, Portugal and Hungary and then moving them across Australia has become part of Gareth’s everyday life. It’s a career that means he understands shipping routes, freight costs and the intricacies of any given customs form better than he thought anyone would ever need to. But there’s a reason for that. “The last thing anyone wants to do is bring in a disease, a bug or a biosecurity risk that fucks things up for everyone,” Gareth says. It's a job that often requires flying across the world to check a barrel's health before they start the journey across the ocean. When that’s not possible, Gareth instead relies on an international network of barrel brokers he trusts to supply him with oak that reaches a certain standard. Ideally, that means there's traces of the barrels' former inhabitant inside to ensure the staves stay in place. “With bourbon barrels, I have done the work to make sure the barrels have only been empty for a couple of weeks before they go into a shipping container,” Gareth says. When they arrive, there’s more work to be done: “I personally check every single barrel that comes in; I tighten anything that needs to be tightened, palletise them myself and send them out. It isn’t just the physical state of a barrel that matters when buying a barrel, but its history too. For each barrel, Gareth needs to assure a brewer where it’s been and what’s been inside it. “If they’re barrels that I get offered and I can’t trace their provenance or get enough information, then I don’t buy them,” he says. “If you were going to buy a used car, you want to know its past. Maybe the grandma you’re buying it from has only owned it for 12 months but before that it was owned by some hoon tradies who were doing burnouts in it. Craig Westwood, Mountain Goat's "barrel man". Among Gareth’s customers is Craig Westwood, who has overseen Mountain Goat’s barrel program since late 2014 after he made the move from Starward Whisky. Craig also runs his own distillery, Cedar Fox Distilling Co, so it's safe to say he knows a thing or two about oak. He says that, with barrel aging already being a complicated enough game, the barrels Goat receives need to be of a standard, particularly as the brewery doesn’t used barrels seeking funk. When Craig first became Mountain Goat’s barrel man, there weren’t that many different kinds of barrels on offer for a brewer to buy. Now there’s an increasingly eclectic mix of what you can get your hands on – from rye whisky to maple syrup and aquavit – and the barrel broker is constantly looking for what’s new. “They spend most of their time actually hunting around for barrels,” Craig says. In Australia, that involves Gareth visiting wineries to source what he can directly, but, in the global barrel market, it’s another story. 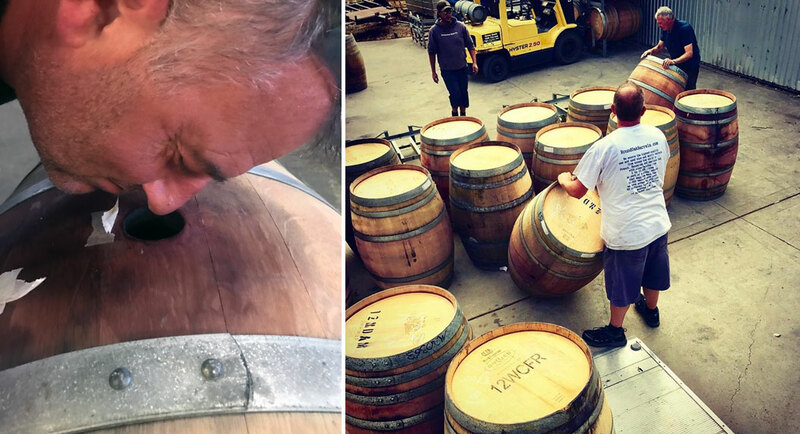 Though he isn’t a veteran of the barrel game, Gareth says in the three years since starting Round Oak Barrels a lot has changed. Brewers and distillers are trying to stand out in marketplaces that are now more crowded than ever and using unique barrels is part of that game. And though there is a growing number of craft distilleries looking to sell barrels, more brewers are distillers are also chasing them. The Australian dollar remaining low against the US dollar hasn’t helped either. The Collaborators series focuses on businesses working in tandem with or launched to service the craft beer industry. You can find other articles in the series here and check out our business directory here. About the author: Will Ziebell is a history graduate who knows more about The Wire than he does about beer. He was awarded the AIBA Best Media trophy for 2018; HBO is yet to award him anything. He can be found on Instagram and Twitter.